Hawaii's teenage reporters tell us about their high school. LAHAINALUNA STUDENTS demonstrated their woodworking skills at the Hawaii State Technology and Industrial Arts Fair April 3-5 at the Neal Blaisdell Exhibition Hall. 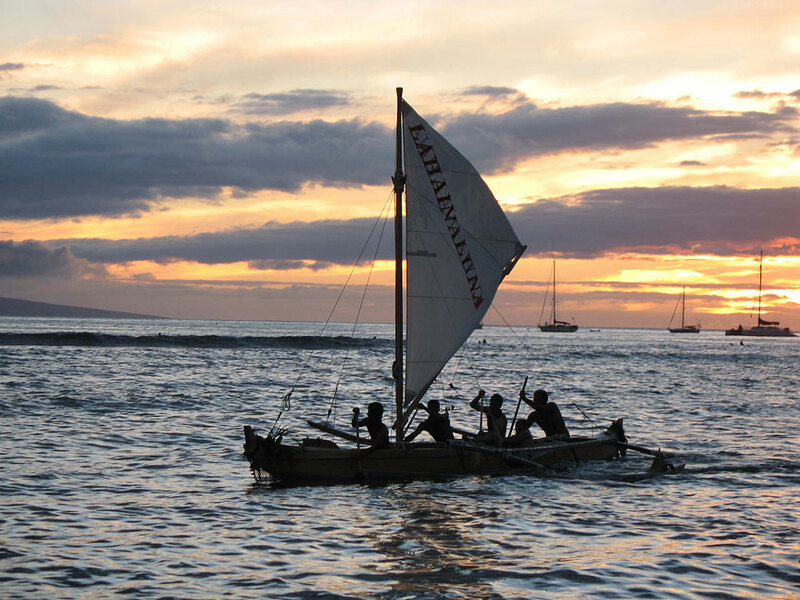 Seniors Sean McKee, Nicholas Pascual and Ivan Ayudan worked with juniors Marcus Curimao and Ikapela Watson to create a 35-foot single-hull sailing canoe. The canoe won first place and the Best of Show award in Research and Development Division Group C (students with at least two years of experience in the program). The students previously participated in the International Festival of Canoes, which required a canoe to be constructed in two weeks. Making the canoe was no easy feat; it would have been even harder if the students had to use the original tools of the trade. 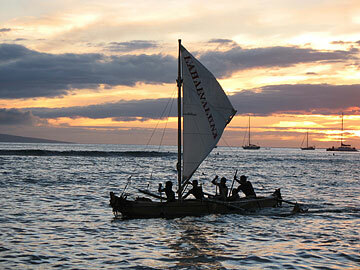 The traditional Polynesian method of building canoes involved felling trees and sharpening tools on volcanic rock. Utilizing 21st-century techniques and supplies made the project more realistic, but the time constraints and magnitude of the project made it a daunting task. Watson said the main tools they used on the canoe were chain saws and sanders. Although securing resources for supplies proved difficult, Delos Reyes said the easiest part was "getting the motivation and desire from the students." Regarding construction, Watson believes that "shaping (the canoe) to get the kind of canoe you want" was the hardest task. Lahainaluna students built other award-winning displays. Pascual took third place in the Mechanical Drawing division for a detail and assembly drawing in Group C. Ayudan took third place in the Woods division for general woodworking in Group C, and Sean McKee received an honorable mention in the Woods division for general woodworking in Group C.
OTHER Lahainaluna students displayed their craftsmanship and won prizes for their work. Senior drafting student Frank Hidalgo captured a Best of Show in the Architectural division and first place in Architectural Computer Aided Design and Drawing (CADD). His entry was a site plan of a home with a floor, roof, foundation and electrical layers and elevations with a cross-section view. Senior drafting student Ellen Cabading took top honors in the Mechanical Drawing division, Group C, for a hand-drawn schematic of a ratchet and gear assembly. Cabading also placed first in the Screen Printing-Multicolor in the Graphics Communication division, Group B (students with only one year of experience in the program). Senior Lana Carter placed first in Multicolor Screen Printing, Group B. For these woods and drafting students to compete on the state level, they had to first win at the district competition, held Feb. 27 in the Lahainaluna library. Some projects can take an entire school year to complete. Delos Reyes said he is proud of his students: "Some of these kids may not have ever won anything, and now they have an award-winning project. I think this project bonds the students; they might never have been friends, and now they know something about each other." This is the sixth time Delos Reyes has brought students to the competition; when he was a student, he competed in the state fair two years in a row with his koa rocking chair and koa coffee table. To showcase their efforts, space is being cleared at the entrance of the campus to display the award-winning canoe for students, teachers and visitors to view and enjoy for as long as possible.